In a medium bowl, make pico de gallo: Combine tomatoes, red onions, scallions, garlic, lime juice, jalapeño and cilantro. Add salt and pepper to taste. Set aside for at least 60 minutes. In another bowl, combine cheese and TABASCO® Chipotle Sauce. Set aside. 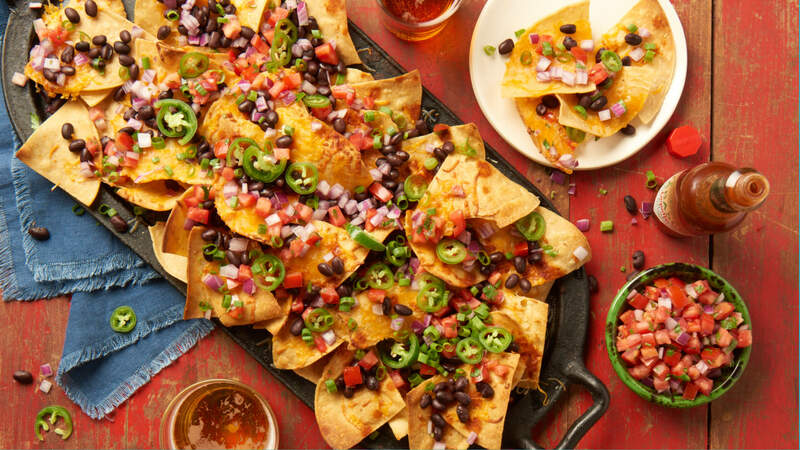 On a parchment-lined baking sheet, place tortilla chips; top with flavored cheese. Place pan in preheated oven and bake for 8–10 minutes or until cheese is partially melted. Remove from oven. Top chips with black beans and some of the pico de gallo. Serve with remaining pico de gallo on the side.